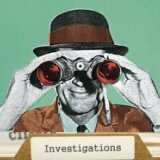 My name is jessica, this is my first time posting here but I have stumbled across your site many a time and it has been incredibly useful. I have a current piece in my possession which was found in a loft, it's a rather interesting tureen with a Meissen type mark on the base, so far I have not been able to find the maker so I am giving it a shot on here in the hope somebody may recognise something about it. 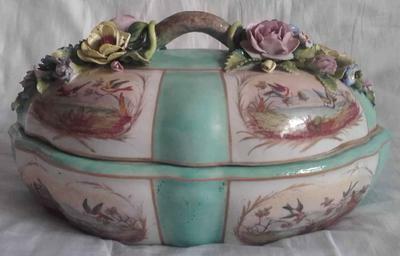 About the piece: It’s a turquoise tureen with birds and floral reliefs on a handled lid. The flowers are very delicate rather Italian, Capodimonte in style. The images are of birds in a tree these are, I believe, a copy of works by Antoine-Joseph Chappuis of Sevres. 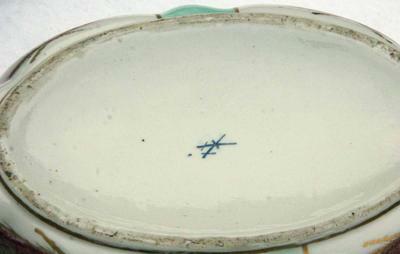 The base bears an unknown blue crossed swords mark, this mark is very similar the Meissen mark except it has an extra line through the middle and a dot below it, similar marks were also used by Chelsea and Edme Samson but again this mark also differs from those typically used and differs from them in style as well. The inside of the base and the lid are marked with three black vertical lines, most likely to indicate which way around the lid is supposed to sit. On the base it is also feintly imprinted JC and 22 underneath, quite possibly the initials of the artist. the style of or any of the markings on the piece? These urns have a similar crossed swords mark with a dot, except it is missing the line across the middle. It also has floral reliefs and is, funnily enough, also in turquoise.. zooming in on the image I can also see see lots of firing marks which is the same as with mine. 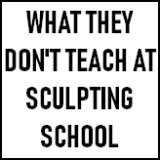 Unfortunately though that piece also doesn’t provide an origin for the maker so it doesn’t really help in that regard. 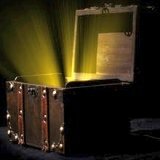 Let's open this up and see what we get. The thing about Meissen style marks is whether they are genuine or not can almost always be given away by the quality of the potting. If it is exquisitely designed and made, and it oozes quality in every pore, it could be genuine. If it's not, then it's definitely not from the Meissen factory. People tend to obsess a little with marks when really they should be obsessing on the item itself. 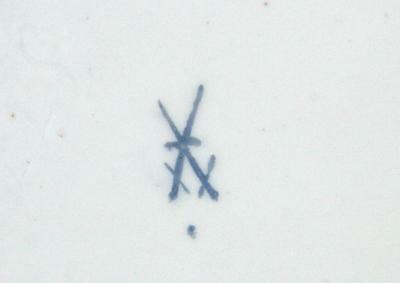 I found this crossed swords mark with a similar line through the swords which the listing attributes to Meissen. Same thing applies here also - it may just be an Auctioneer's wishful thinking?